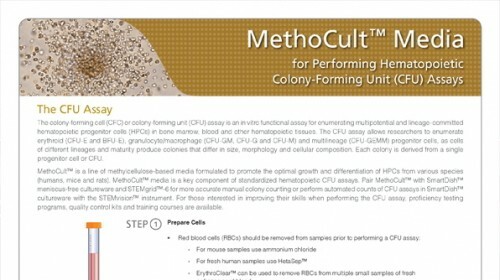 MethoCult™ H4435 Enriched (MethoCult™ GF+ H4435) is a complete methylcellulose-based medium for the growth and enumeration of hematopoietic progenitor cells in colony-forming unit (CFU) assays of human bone marrow, mobilized peripheral blood, peripheral blood, and cord blood samples. 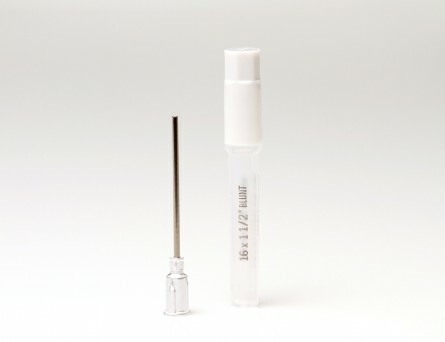 This medium supports optimal growth of erythroid progenitor cells (BFU-E and CFU-E), granulocyte-macrophage progenitor cells (CFU-GM, CFU-G and CFU-M), and multipotential granulocyte, erythroid, macrophage and megakaryocyte progenitor cells (CFU-GEMM). 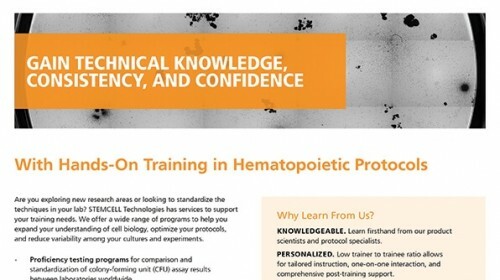 MethoCult™ H4435 Enriched is recommended for use with CD34+ cells and other purified cell populations, and for CFU assays performed as part of LTC-IC assays. Generation of induced pluripotent stem cells as a potential source of hematopoietic stem cells for transplant in PNH patients. Paroxysmal nocturnal hemoglobinuria (PNH) is an acquired hemolytic anemia caused by lack of CD55 and CD59 on blood cell membrane leading to increased sensitivity of blood cells to complement. 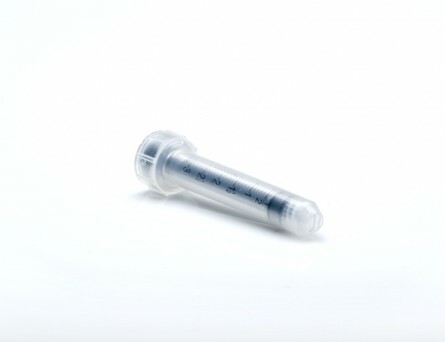 Hematopoietic stem cell transplantation (HSCT) is the only curative therapy for PNH, however, lack of HLA-matched donors and post-transplant complications are major concerns. 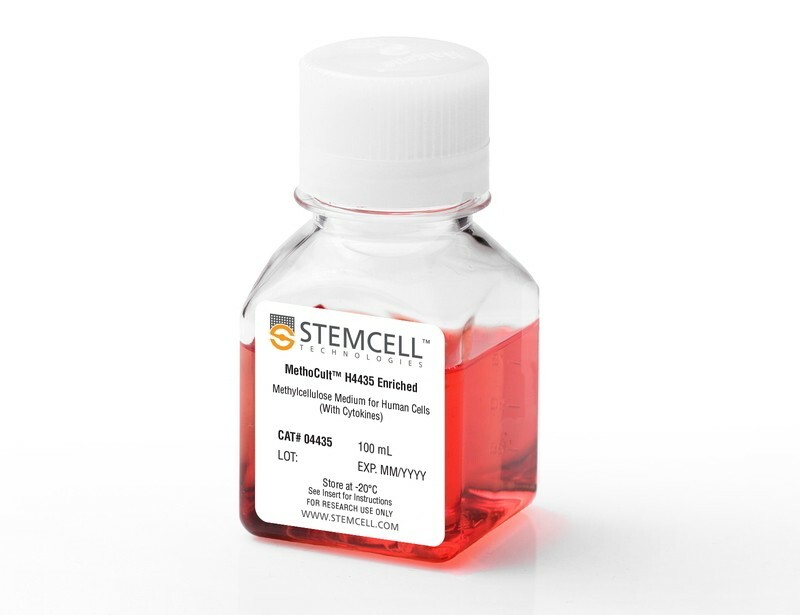 Induced pluripotent stem cells (iPSCs) derived from patients are an attractive source for generating autologous HSCs to avoid adverse effects resulting from allogeneic HSCT. 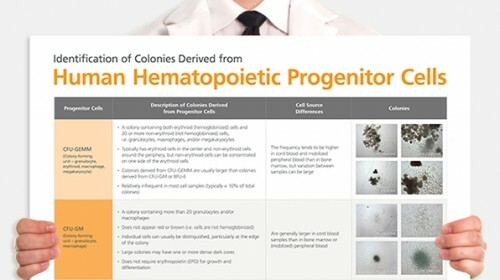 The disease involves only HSCs and their progeny; therefore, other tissues are not affected by the mutation and may be used to produce disease-free autologous HSCs. 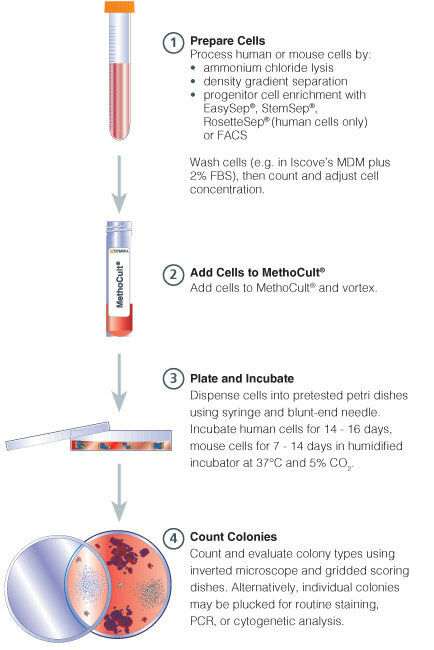 This study aimed to derive PNH patient-specific iPSCs from human dermal fibroblasts (HDFs), characterize and differentiate to hematopoietic cells using a feeder-free protocol. 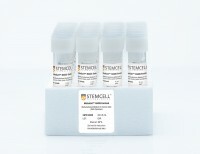 Analysis of CD55 and CD59 expression was performed before and after reprogramming, and hematopoietic differentiation. Patients' dermal fibroblasts expressed CD55 and CD59 at normal levels and the normal expression remained after reprogramming. 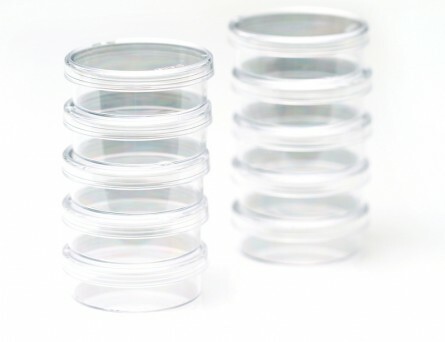 The iPSCs derived from PNH patients had typical pluripotent properties and differentiation capacities with normal karyotype. 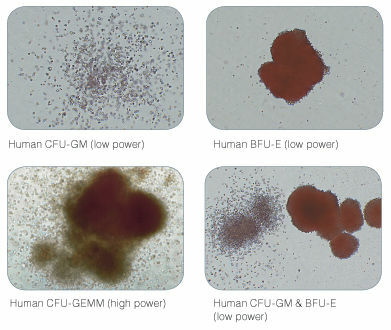 After hematopoietic differentiation, the differentiated cells expressed early hematopoietic markers (CD34 and CD43) with normal CD59 expression. The iPSCs derived from HDFs of PNH patients have normal levels of CD55 and CD59 expression and hold promise as a potential source of HSCs for autologous transplantation to cure PNH patients. 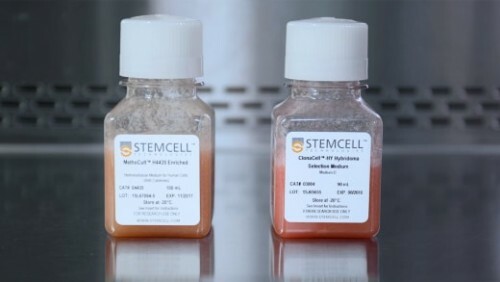 The use of induced pluripotent stem cells (iPSCs) as a source of cells for cell-based therapy in regenerative medicine is hampered by the limited efficiency and safety of the reprogramming procedure and the low efficiency of iPSC differentiation to specialized cell types. Evidence suggests that iPSCs retain an epigenetic memory of their parental cells with a possible influence on their differentiation capacity in vitro. 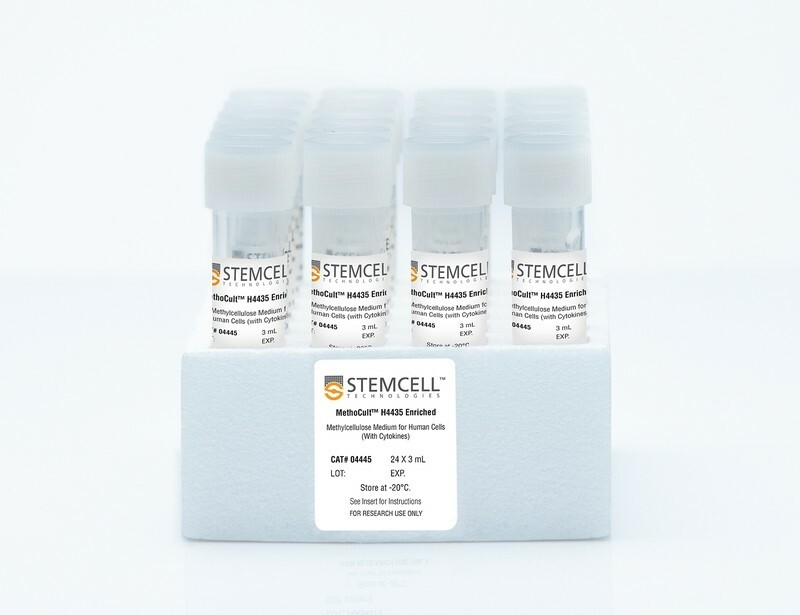 We reprogramme three cell types, namely human umbilical cord vein endothelial cells (HUVECs), endothelial progenitor cells (EPCs) and human dermal fibroblasts (HDFs), to iPSCs and compare their hematoendothelial differentiation capacity. HUVECs and EPCs were at least two-fold more efficient in iPSC reprogramming than HDFs. 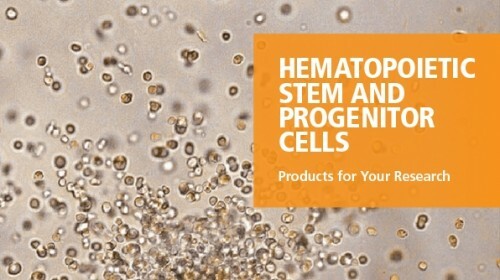 Both HUVEC- and EPC-derived iPSCs exhibited high potentiality toward endothelial cell differentiation compared with HDF-derived iPSCs. However, only HUVEC-derived iPSCs showed efficient differentiation to hematopoietic stem/progenitor cells. Examination of DNA methylation at promoters of hematopoietic and endothelial genes revealed evidence for the existence of epigenetic memory at the endothelial genes but not the hematopoietic genes in iPSCs derived from HUVECs and EPCs indicating that epigenetic memory involves an endothelial differentiation bias. Our findings suggest that endothelial cells and EPCs are better sources for iPSC derivation regarding their reprogramming efficiency and that the somatic cell type used for iPSC generation toward specific cell lineage differentiation is of importance. Factor-induced Reprogramming and Zinc Finger Nuclease-aided Gene Targeting Cause Different Genome Instability in &dollar;\&dollar;-Thalassemia Induced Pluripotent Stem Cells (iPSCs). 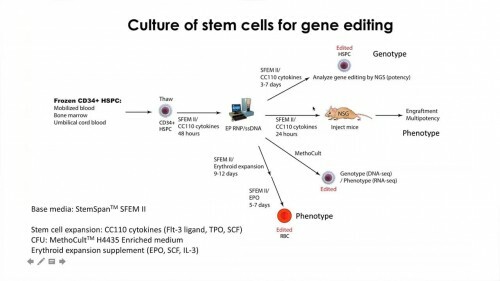 The generation of personalized induced pluripotent stem cells (iPSCs) followed by targeted genome editing provides an opportunity for developing customized effective cellular therapies for genetic disorders. However, it is critical to ascertain whether edited iPSCs harbor unfavorable genomic variations before their clinical application. 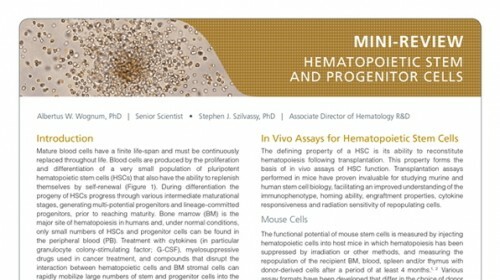 To examine the mutation status of the edited iPSC genome and trace the origin of possible mutations at different steps, we have generated virus-free iPSCs from amniotic cells carrying homozygous point mutations in beta-hemoglobin gene (HBB) that cause severe beta-thalassemia (beta-Thal), corrected the mutations in both HBB alleles by zinc finger nuclease-aided gene targeting, and obtained the final HBB gene-corrected iPSCs by excising the exogenous drug resistance gene with Cre recombinase. Through comparative genomic hybridization and whole-exome sequencing, we uncovered seven copy number variations, five small insertions/deletions, and 64 single nucleotide variations (SNVs) in beta-Thal iPSCs before the gene targeting step and found a single small copy number variation, 19 insertions/deletions, and 340 single nucleotide variations in the final gene-corrected beta-Thal iPSCs. Our data revealed that substantial but different genomic variations occurred at factor-induced somatic cell reprogramming and zinc finger nuclease-aided gene targeting steps, suggesting that stringent genomic monitoring and selection are needed both at the time of iPSC derivation and after gene targeting.